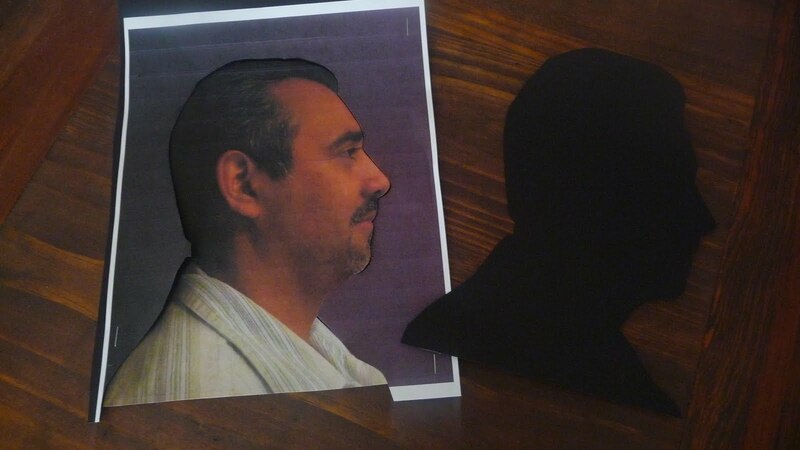 First, I took pictures of my stepdad and brother in profile. I didn’t want my mom to know, so I found a picture I had taken a couple of moths ago where she was in profile and cropped it. I printed them in 8 x 10, but they could have been smaller for the frame I had. 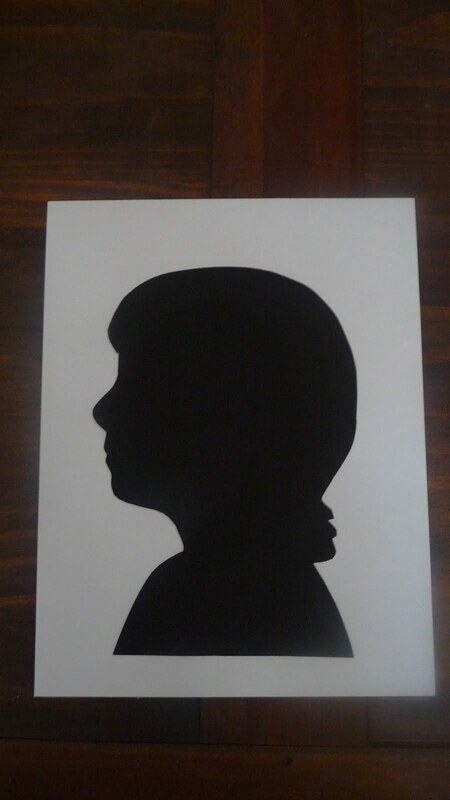 Then, I put the photo over black cardstock – I actually stapled the photo to the cardstock in areas that I knew wouldn’t be part of the final silhouette. 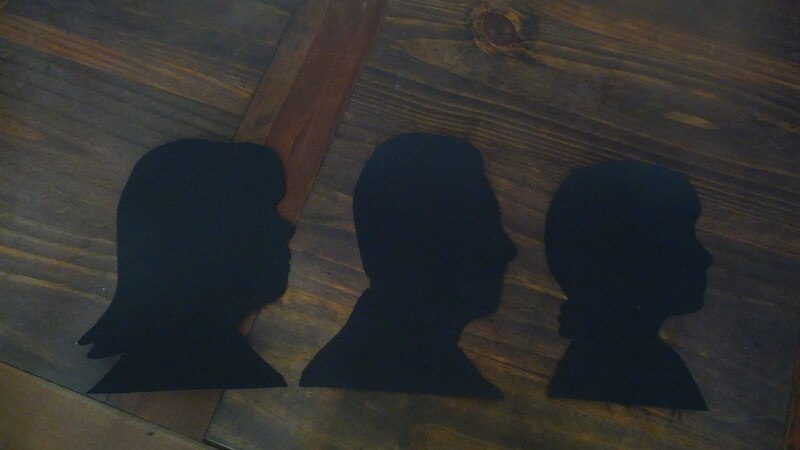 Here are all of the silhouettes ready to be mounted! 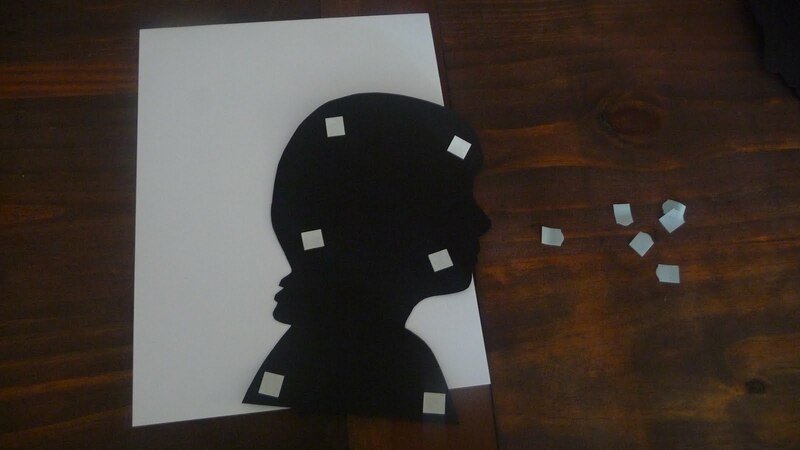 I used double sided tape mounting squares to stick the silhouettes on white cardstock. I had to make sure that the bottoms were all the same distance up or they would look strange all lined up. Since the paper was 8 1/2 x 11 and the frame was 8 x 10, I put the glass over the cardstock and traced it with pencil so I could trim the excess. And finished! I actually already had these frames in my collection, so the project was basically free. I know my mom doesn’t mind. It’s the thought that counts and I’m getting laid off while trying to get pregnant. HA… cracks me up. So cute!! 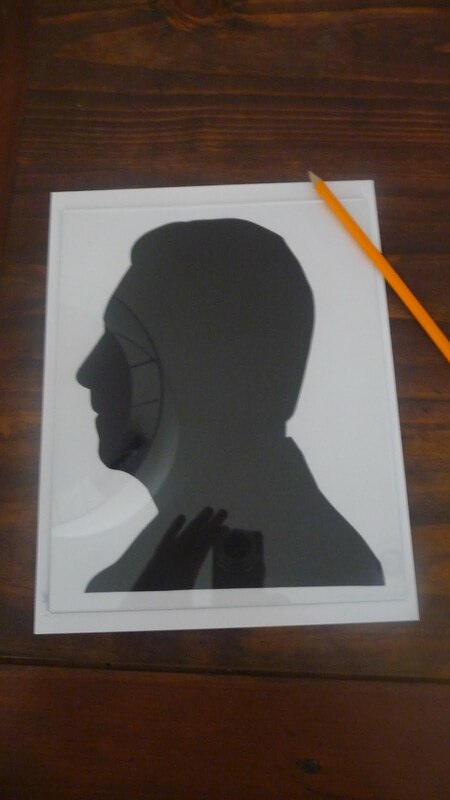 Ok, so if I could do it all over again, I would make the silhouettes smaller and use white frames with white matting like Emily did. 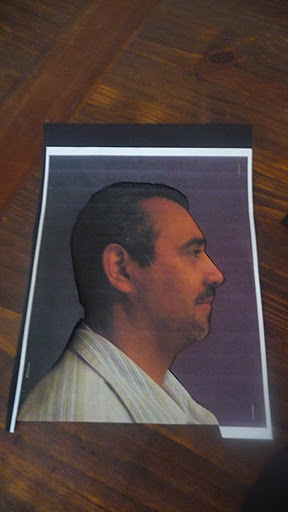 I might redo this project if I find some extra cash to buy new frames. I just couldn’t justify it as I have 462 frames sitting in our guest bedroom. Yes, that’s an exaggeration, but I do have a TON of them. 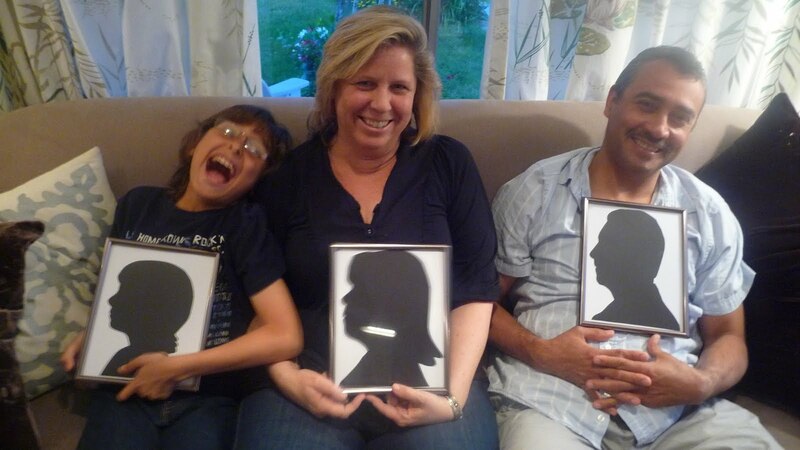 I think she liked it and it was so fun to see how much the silhouettes looked like them! When was the last time you made something for your mom for Mother’s Day? Love it! This is a great idea. 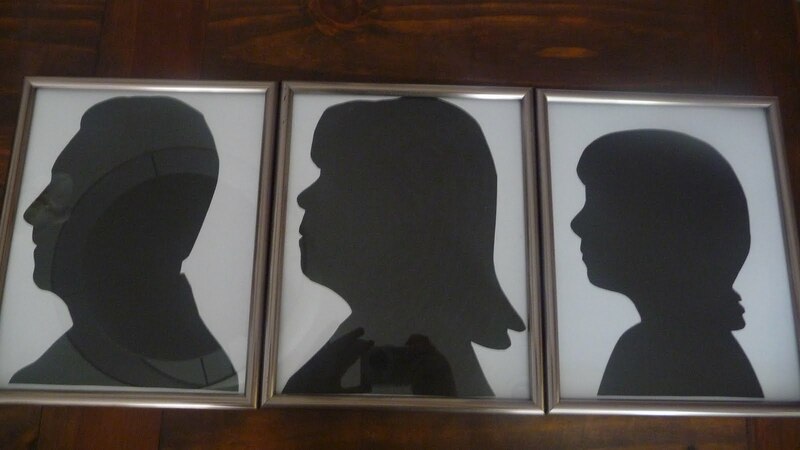 Maybe next year I will do this for my sister and her boys. That is soo cute and adorable!! I didn't make anything for my mom (and can't remember the last time I did), but Andy bought some blue ink and stamped Carter's handprints on this need fabric paper and stamped this Y on it for York and framed it for me for Mother's Day. So adorable! yours are cool too. If you don't want to spend money on a new frame, you can just use some white spray paint. I do it all the time. If you want me to paint you, your husband, and your dogs, let me know what size you want them. It only took me about 2 1/2 hours to make both, but they were in a small frame. I forget what size it was. less than 5×7. email me at ashley.taylor.stuart@gmail.com and we can work something out.